Import and installation of Palfinger lifts and products. Development and manufacturing of electronic solutions for the automotive market. Development, manufacturing and installation of high quality, precision metal products. Development and manufacturing of shelving products for display and storage. Supply and installation of display refrigerators and industrial cooling systems. 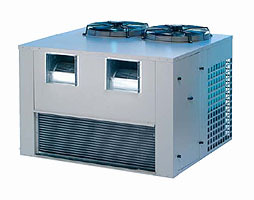 Planning and manufacturing of Unique air conditioners. Manufacturing of advanced technological constructions for industrial, commercial, marketing, institutional and residential uses. Welcome to the Haargaz Group website Ha’argaz Group, one of the most well established company in the industry of Israel, encompassing factories that specialize in the Development, Design and Manufacture of Buses, Manufacture of Industrial and Transportable Structures, Creation of overall solutions for Storage, Refrigeration and Display systems, Manufacture of advanced Metal Modules for the Defense Industry and Advanced Equipment systems for the hi-tech industry.